The Golden Beach Hotel in Aegina is the answer to relaxation. In a quiet neighborhood surrounded by green Golden Beach Hotel offers eleven spacious studios 22 – 34 sq.m. with separate kitchen, refrigerator, kitchenware, bathroom and TV. All rooms have balconies overlooking the sea. For relaxation, coffee, soft drinks, iced drinks and snacks from early in the morning you can visit the Pool Bar in the renovated pool area. If you are fan of the sea a beautiful beach awaits you very close to the hotel (50 meters). 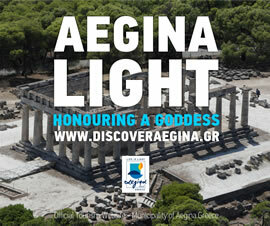 Our hotel is located between the town of Aegina and Ag. Marina village. If you really want to relax in a cozy and nice environment for a reasonable price Golden Beach Hotel is the place you are looking for. For a room reservation to be considered as valid required 40% deposit of the total value of the booking. Booking cancellation with deposit return is accepted only if done 15 days before the arrival date. After the end limit of 15 days cancellation the booking deposit is non-refundable. Copyright 2016 Golden Beach Hotel - Aegina | Κατασκευή Ιστοσελίδας Ξενοδοχείου Web Designer GR.